Fighting the battle of overeating means cutting food intake, and thus cutting calories. 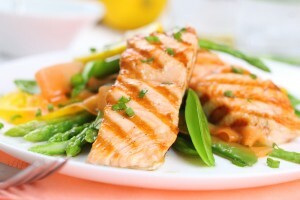 Though reducing your daily caloric intake may result in weight loss, it will also likely leave you feeling hungry. 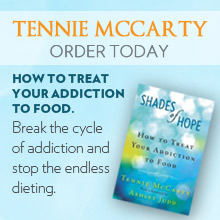 The inability to resist hunger when it strikes can send you spiraling downward, back into the cycle of overeating. If you are trying to reduce the amount of food you are eating, but are struggling with hunger, shift your focus to eating foods that will leave you feeling fuller longer, reducing your appetite, and thus helping you to eat less. One key nutrient that helps you feel full long is fiber. Found in almost any plant food, dietary fiber takes longer to break down in the body, which means you’ll stay fuller, longer. 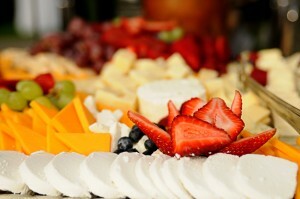 Cheese paired with fruit or vegetables. Cheese contains protein your body needs for energy and fruit and vegetables contain fiber, which the body burns slowly, keeping you full longer. Whole grains. 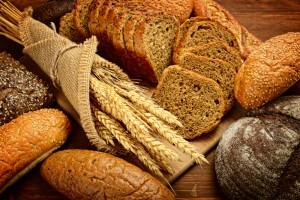 Though often considered empty calories, whole grains contain more fiber than many foods. Eat whole grain pasta with meat such as salmon or chicken for protein or a whole grain sandwich with lean meat, cheese and a side of leafy spinach. Fish. A protein-rich food with fewer calories than red meat, fish is a healthy food, packed full of nutrients, including omega-3 fats. Beans. Another lean source of protein, beans also contain high amounts of fiber, which the body will slowly digest, allowing you to feel full longer. 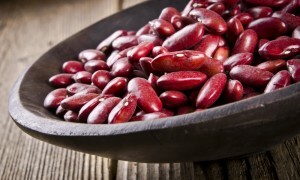 Boiled mature beans (navy, white, French or kidney beans) can provide up to 10.5 grams of fiber per 100 gram serving. Apples. 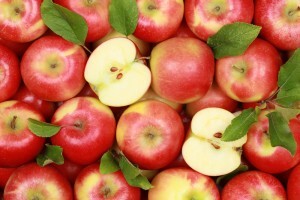 An apple a day isn’t just for keeping the doctor away, apples are also fiber-rich. According to this study, people who eat an apple before lunch will consume 15 percent fewer calories. If you’re focused on eating less, you will leave yourself feeling hungry. By shifting your focus to eating fewer calories, but eating foods that are rich in fiber, you’ll be able to both cut calories while satisfying your hunger.